Eurostat, the European Union’s statistics agency, revealed Friday that the unemployment rate in July was 8.2 percent. 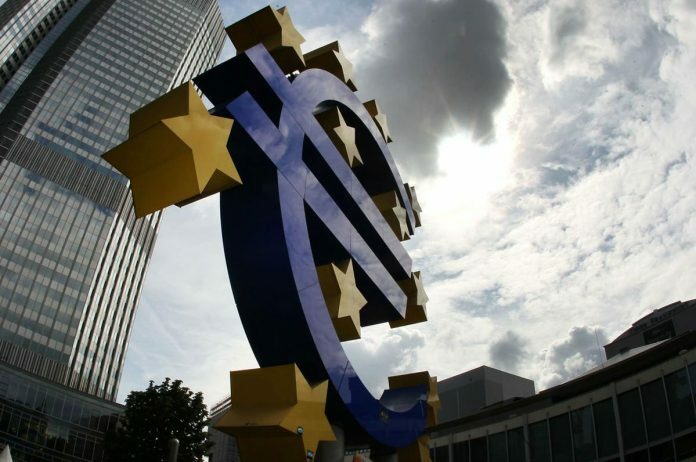 That was unchanged from the previous month’s rate, which Eurostat revised down from 8.3 percent. The rate is now the lowest since November 2008, when unemployment was soaring in the immediate aftermath of the collapse of U.S. investment bank Lehman Brothers, the most symbolic moment of the financial crisis. Unemployment hit a peak of 12.1 percent in 2013 when the crisis, at least for the eurozone, morphed into a government debt crisis largely centered on Greece. Eurostat said 16.82 million people were unemployed across the eurozone in July, down 82,000 on the previous month. Though the overall decline was widespread, there are still big disparities across the region. Some countries, like Germany, are operating at what economists term full employment, with the jobless rate only 3.4 percent. Others such as Spain and Italy have double-digit unemployment rates. Though the falls in unemployment over the past few years has been welcome, wages haven’t picked up as much as they would normally be expected to during an economic recovery — the general rule of thumb is that as employment levels increase amid higher levels of growth, workers can win bigger pay awards from firms, who are hungrier to recruit new staff to meet the growing demand. The European Central Bank, which sets interest rates for the countries that use the euro as their currency, wants wages to increase to help lift soft underlying levels of inflation. Despite a second-quarter surge in wages, that hasn’t happened — yet. Separate figures Friday from Eurostat showed that underlying inflation remains fairly anemic despite a sizeable 2.2 percent jump in wages during the second quarter. In the year to August, the core rate, which strips out potentially volatile items such as food and energy, dipped to 1 percent from the previous month’s 1.1 percent. The headline rate, which has been elevated because of the rise in oil prices, also dipped to 2 percent from 2.1 percent. Once the bank’s policymaking governing council is convinced that inflation is set to be at healthy levels, then it will be in a position to join the U.S. Federal Reserve in raising interest rates. The ECB has slashed interest rates over the past few years, including its main one to zero, in an effort to buoy the economic recovery and get inflation back up to levels it is happy with. The increase in the headline rate was one of the reasons why the ECB said it expects to bring an end to its 2.4 trillion-euro ($2.8 trillion) bond purchase program stimulus program at the end of the year. The program pumped newly created money into the economy to raise weak inflation and slow growth. Growth has certainly risen over the past couple of years, but there is evidence that it’s beginning to cool once again. In the second quarter of the year, growth was only 0.4 percent and there are some concerns that an anticipated third-quarter recovery may not be materializing, not least because consumers appear to be increasingly reluctant to spend as evidenced by recent confidence data. “Risks are currently skewed to the downside for the eurozone economy, with the combination of waning consumer confidence and anemic wage growth threatening to weigh on household spending over the remainder of the year,” said Pablo Shah, an economist at the Centre for Economics and Business Research.